A logotype for a Burton snowboards campaign. R.E.D. was founded in 1996 as the helmet line of Burton Snowboards. Burton is the brand of the industry, founded by Jake Burton one of the fathers of snowboarding. The project was to create a new campaign for R.E.D. 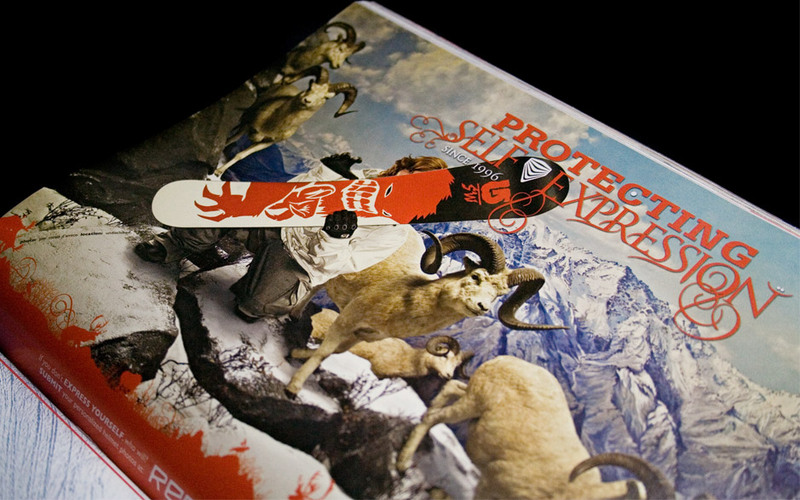 celebrating their product as well as promoting their team of snowboard and freeski athletes. The goal was to show the individuality of the athletes and that their style of riding is how they express themselves. 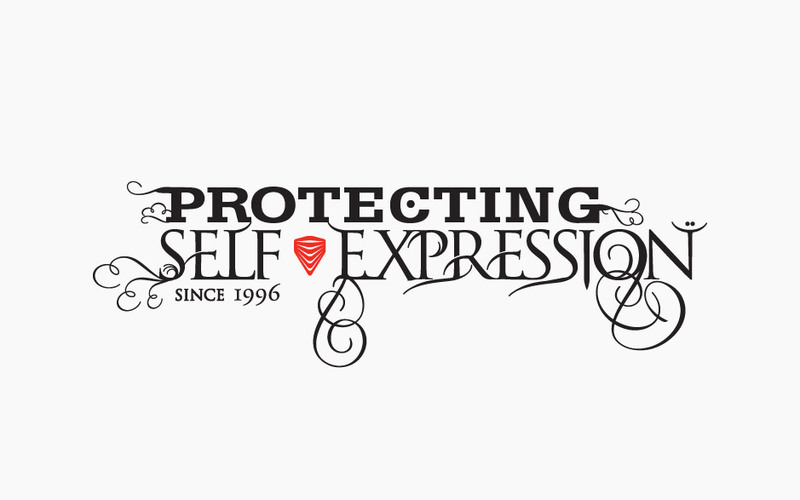 The helmets, protecting the athletes, led to the campaign tag-line of "Protecting Self-Expression." The unusual circumstances of the ads that the athletes finds themselves in stem from the personality of that individual and some of their interest and fantasies. I created this logotype as well as helped in the development of the overall campaign style for ads published nation-wide in various magazines as well as appearing on the R.E.D. website.